No sports team would be able to function efficiently without its captain. This spearhead of the group is the person who will rally the team, motivate them, organize them and push them to succeed. Businesses are the same, but instead of tracking a ball, you’re tracking accounts, figures and statistics. Instead of defending your net, you’re defending your business premises by conducting safety audits. Instead of chatting with teammates, you’re chatting with customers, nurturing potentially profitable relationships. Businesses need their captains, and the captains need their businesses. A company is a living, breathing system that must be honed and well-looked after. It needs work, every single day, and this responsibility rests on your shoulders. But what are the critical jobs, what is the vital work, that every business owner should have on their to-do list? What should every business owner be doing, no matter the company’s shape, size or purpose? Let’s take a look through that all-important list. This may seem obvious, and you’re right, it is. However, you may be replying to customers, but are you doing it quickly? Perhaps not. This should be one of your primary focuses throughout the day, whether you delegate it to another staff member or not. You should aim to reply within a specific timeframe – perhaps 24 hours, or even less if possible. The faster you respond, the more that customer will appreciate you. This paints you in a better light, and makes that customer more likely to keep coming back to you. There are several ways to track this metric, too. 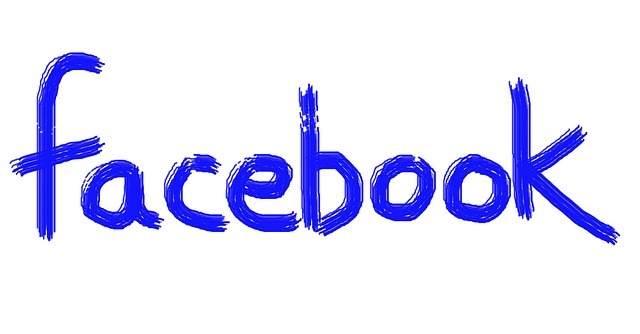 If your company has a Facebook page, your response time is highlighted on your page information. If you keep replying quickly, your response badge will light up, letting people know you’re reliable. Or, keep checking timestamps on emails and messages to ensure you aren’t leaving things too late. At the end of the day, your consumers are the people who are funding your very existence. The more respect you give them, the more custom you’ll receive in return. Statistically, it’s not likely your business will survive in the event of a data loss. For many companies, big and small, it proves catastrophic. Date loss can occur for many reasons, most of them being unpredictable. And the only way to combat the unpredictable is to have that data secured! It’s not as though you’ve a lack of choice, either. Providers like BackupVault offer complete data protection suites, so there are no excuses for not being secure. You need to prioritize your data, and make sure the most sensitive gets stored immediately. This includes things like customer data, employee profiles and company passwords. Besides backing up to the cloud, be sure to keep spare physical copies lying around in the event of a cyber-breach. In short, by protecting your business, it’s assets, data and tech, you have a more secure future. Add it to your to-do list! Targets are a way to help us improve. If you don’t have targets, how do you know that your company is on track? How do you know that it’s doing better than it did last quarter, or last year? Short answer: you don’t! The list goes on, and on. Of course, the figures will differ slightly based on the size of your company, but you get the idea. Targets are a way to make sure you’re constantly pushing forward, and don’t get complacent. An unsafe workplace can be an utter nightmare for that insurance policy. For starters, you may not even be able to get one, and if the environment causes an injury, you’re in deep trouble. Plus, it’s just not viable to have staff members working on a dangerous premises. Each of these problems can be dealt with in their own way, and it’s important to keep records of any action you take. This is to demonstrate to investors and insurance providers that a safe workplace is a priority of yours. Be sure to take before and after pictures of any problems, too. Businesses are networks, and the only way to grow your network is to meet like-minded individuals. A larger network opens the door to collaborative opportunities, business deals and fresh ideas. You could meet someone who completely transforms the way you think about a particular area of your company. Events are an enlightening experience. There are certain conferences and events that should be on every company head’s to-do list. You might have to hop on a plane or two, but it’ll be worth the cost of travel! To start with, there’s the Small Business Summit hosted in the US, which aims to improve the small business scene. Then, there’s the SBDC Annual Conference, which is more workshop and activity based. This event aims to help you improve your company by having you partake in tasks, workshops and seminars. It’s impossible to fully understand your place as a company without spending time with the leaders of others. Events bring all these leaders together and ensure that you leave with some valuable experience. Checked them all off? Good. I would say now’s the time to kick back, relax and have a drink, but in reality, the work of a business owner is never complete. Thank you for reading, and I hope the post was of some use!